Oops already autumn… Time flies so quickly. I am terribly sorry I left you alone for the past few weeks. However my life is updside down right now. I will tell you more as soon as I solved everything :-). 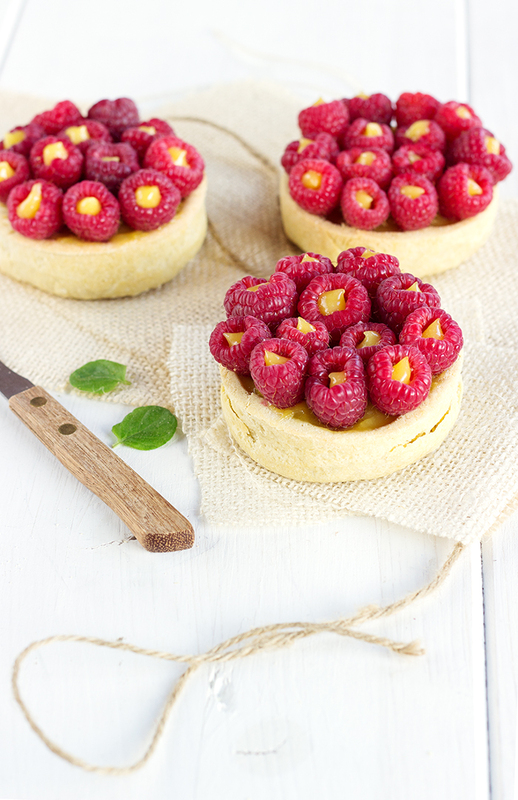 May take few time so… Anyway, I still have plenty of recipes to share with you and today I want to propose you some delicious raspberry olive oil tartlets with lime curd so we end raspberry season with something different before winter comes :-). What’s the weather like in your place? 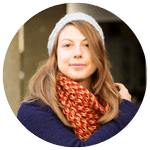 Here in Lausanne, it’s getting cold. We still have sunny days but summer is behind. To make these tartlets, we will first bake an olive oil crust and then make a delicious lime curd with some olive oil too. An idea that somebody gave me during the culinary blog salon last year. Bake with olive oil, that’s different, and also that’s exquisite. I do not know what the healthiest, gorging ourselve with butter or with olive oil :-). But anyway why go without any of them if it is so tasty :-)? In a mixing bowl, add flour and sugar. Make a hole and add, egg, olive oil and water. Mix using your hands until you get a homogeneous dough. Roll out finely, put in your individual pie plate. Prick with a fork, cover with baking paper and add some cooking beads. Bake for 8 minutes. Remove carefully from your pie plate and bake another 4 minutes for a golden crust ! Leave to cool. Bring to a boil lemon and lime juice with ½ of sugar (60 gr.). In the meantime, beat egg yolk with whole egg, flour and rest of sugar. When juice is boiling, pour half on top of the egg mixture, whisk quickly and pour on top of what's left of the juice. Cook another few minutes, until you see the first bubbles. The cream is ready. Remove from the heat and add while mixing olive oil. Reserve and leave to cool. If you want to smooth edges of your tartlets, use a microplane grater, that's working perfectly. Wash carefully raspberry and reserve. 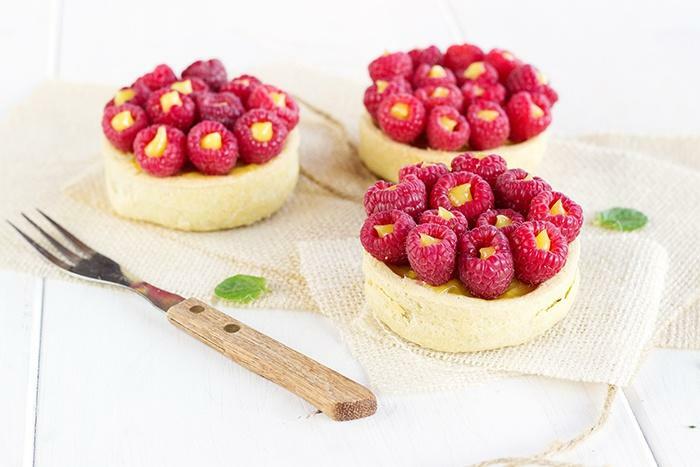 Fill in your tartlets with most of tlime curd and reserve a part to fill in raspberry. Place raspberry upside-down on top of lime curd. Fill pastry bag with the rest of lime curd anduse it to fill the inside of your raspberry.